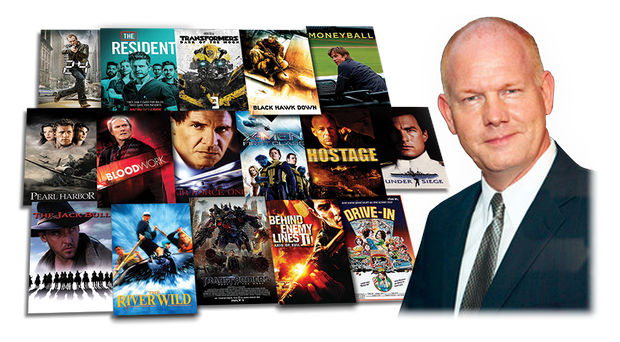 Please join us for a magical evening with Glenn Morshower at Grace Church! Please see our Social section for any member who would like to go with our social group. 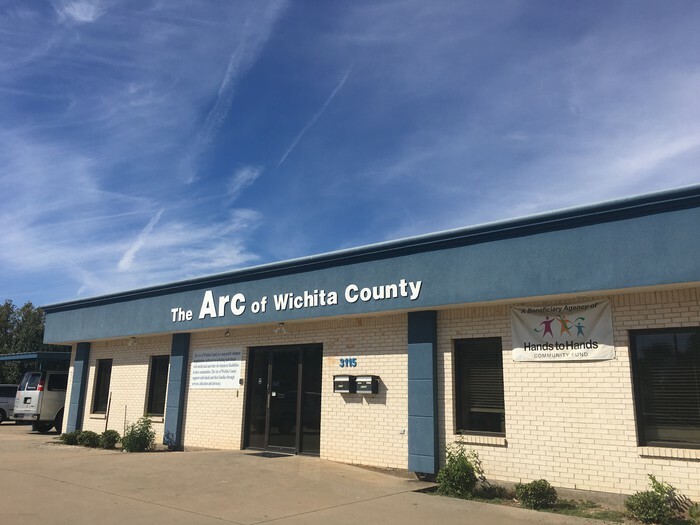 The Arc of Wichita County exists to serve individuals with intellectual and developmental disabilities in Wichita County and the surrounding areas by providing programs and services that enable and empower adults and children with disabilities as well as their families. Here at The Arc we love and appreciate all of the staff but sometimes our great staff are EXTRA! We would like to take this opportunity to give a shout out to our child care staff, Destiny, Kaitlyn, Lily and Triniti. During the week of spring break they went above and beyond to make sure that the children in our program had a super fun filled week. They organized a theme each day complete with themed decorations, daily activities, crafts and snacks. They did much of this on their own time and with their own money! The children were so happy to be here and loved all of the activities. It is their vision and drive that makes our program successful. We cannot wait to see what they come up with for our summer child care program. We would also like to recognize Mallory Ledoux for her outstanding work on our "Battle of the Day Habs " event. The amount of energy and dedication she put in to make sure that all the athletes had a great time was beyond amazing! The event was a great opportunity for local Day Habs to all come together and participate in some fun and exciting games! Thank you to all the volunteers, caregivers, staff and especially the athletes that helped make this event a success. 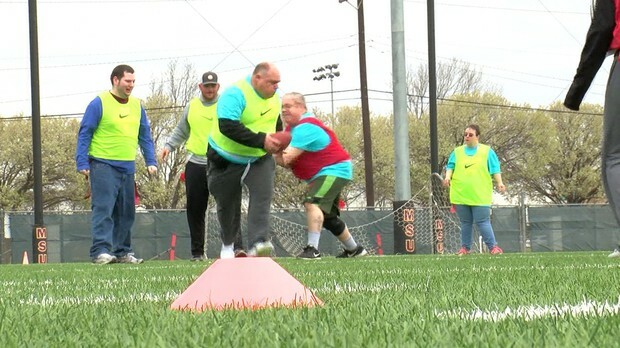 These wellness events are fun events sponsored by The Arc to promote a healthy mind, body and soul. You must be a member to attend these events. Please RSVP if you would like to attend. Must prepay by April 11th. Cost is a discounted price of $15 for members. Meet at The Arc and we will take a bus downtown. Limit 12. Located at The Arc. Free to attend. Limit 10. Ages 13+ (still in school) - Please be sure to RSVP! You must call The Arc at 940-692-2303 to make reservations for the teen social events. The annual membership cost is $25. If you sign up for an event and decide not to go then you must call and cancel up to 48hrs before the event date or you may be billed for the event fee. $5 (members) $10(non-members). Meet at Village Bowl. Limit 12. Must prepay by Monday, April 8th. Going to see Shazam! $6 (members) and $10 (non-members). Limit 12. During the evening participants have dinner, play games and socialize with their friends. The cost is $15.00 for members and $20.00 for non-members. This program for ages 13 - 21(still in school). Limit 12. Drop off at the Arc and pick up at the Hero House. Immerse yourself in the first century! Walk through Jerusalem Village at the time of the Feast of Passover. Many attractions to enjoy! Food and souvenirs will be available to purchase in the marketplace. Must prepay by April 15th. Meal is not included. Please bring money to eat at the event. $30 (members), $40 (non-members). Meet at The Arc and we will take a bus to Weatherford, TX. Limit 12. These events are for individuals who are at least 18 years old and are no longer in school. PLEASE BE SURE TO RSVP! You must call The Arc at 940-692-2303 to make reservations for the social events. The annual membership cost is $25. If you sign up for an event and decide not to go then you must call and cancel up to 48hrs before the event date or you may be billed for the event fee. Please do not show up more than 15 min early for events or you may need to wait outside. $10 for members and $15 for non-members (cost covers food and gas). Bring extra money if you want to gamble. Meet at The Arc and we will take a bus to the casino. Limit 12. Must prepay by Wednesday, April 3rd. Meet at The Arc. Cost is $20 for members and $25 for non-members. Limit 12. Must prepay by Monday, April 8th. Cost is $15 for members and $20 for non-members. Meet at The Arc and we will take a bus to the MPEC. Limit 12. Cost is $15 for members and $20 for non-members. Dinner will be included. Limit 20. 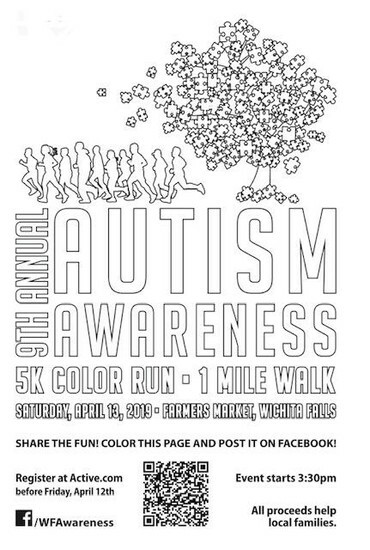 We will participate in the 1 mile walk/run. Must prepay by Thursday, April 11th. Cost is a discounted price of $15 for members. Meet at The Arc and we will take a bus downtown. Limit 12. Cost is free. Van service is available for those who qualify. There is a $2 fee for all van rides and will be determined on a first come first serve basis. Arcade and Food! Must prepay by Friday, April 19th. The cost is $30 for members and $40 for non-members. Meet at The Arc and we will take a bus to Grapevine mall. Limit 12. The cost is $5 for members and $10 for non-members. Meet at Village Bowl. Limit 20. Cost is $5 for members and $10 for non-members. Limit 20. Located at the Hero House. Must prepay by Monday, April 22nd. Going to see The Avengers End Game. Cost is $6 for members and $10 for non-members. Meet at The Arc and we will take a bus to Cinemark. Limit 12. What: Music, singing, Bible Study and refreshments! What: Music, singing, Bible Study, and refreshments!